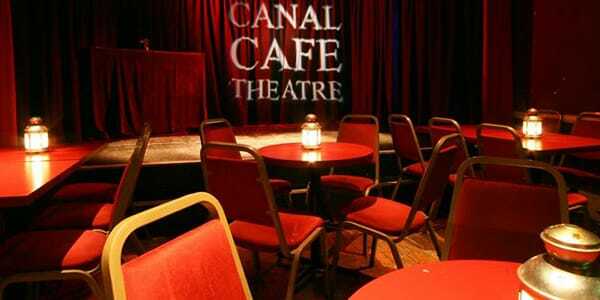 Situated in the heart of Little Venice, the Canal Café Theatre has been a popular venue for British comedy since 1979. Featuring a 60-seat performance space, the theatre plays host to over 14 shows per week, including sketch, improv, stand-up, and plays. The theatre is the home for NewsRevue, a politically themed sketch show that runs weekly and transfers to the Edinburgh Fringe Festival annually. The show currently holds the Guinness World Record for longest running live comedy. The Canal Café is available for hire and rehearsal space and is always looking out for new comic writing.